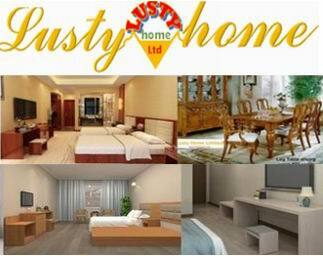 Welcome to Visit Lustyhome Furniture Website,Pls contact with us if any problem happened. especially anything important about our products and big business between us. 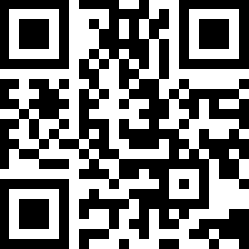 The following is special furniture knowledge for you,it' not only furniture expertise, but also our website structure content. A: Classification according to place of use of furniture which including Civil Furniture, Office Furniture, Medical Furniture, Hotel Furniture, Public Furniture. Living room : sofa, coffee table, side/corner table, bar/wine cabinet,telephone table,leisure chair,tv cabinet,console & hall table,nest of tables,shoes cabinet/bench,etc.. Dining room: dining table, dining chair, wine cabinet, dining side cabinet, cupboard,etc..
Study room Furniture: bookcases, desks, sundry shelves(bookshelf), magazine shelves, leisure chairs, corner table,etc..
Children's Furniture: bunk beds, children's chair, kids bench, children's cabinet and so on. Kitchen Furniture: cabinets, knife shelves, plates, cupboards(hutch & buffet), storage shelves. Bathroom Furniture: washing cabinet(table), storage shelf, bath, towel rack, bathroom mirror,etc..
Office FurnitureSuch as large desk, chair, desk bookcase, sofa, coffee table, corner table etc. Hotel Furniture wardrobe, bed, nightstand, lounge chair, bar table, bar chair, wine cabinet, desk, desk chair, sofa, coffee table, side/corner table, console & hall table, bathroom series. Public Furniture(station, airport, school etc. ): chairs, desk,tables, sofas,coffee table,bar table,bar chair,corner table etc..
1.Modern simplicity Furniture: simple and clear, whether paint process or structure, design is relatively simple, full of vitality. 2.Japanese and Korean style furniture: pastoral furniture with white or light yellow as the main color. 3.American furniture: Antique color, attached to the old, carved processing, to enhance the value of furniture. 4.French furniture: light, white as the main color, carved or affixed gold and silver foil, lighter colors. 5.Classical furniture: Antique color heavier, sculpture or paint color treatment, highlighting the ancient fragrance of the ancient color. 6.Mediterranean furniture: Paint for old treatment.This treatment not only allows the furniture to show the texture of classical furniture, but also shows the natural impression of furniture being blown by the sea breeze under the clear sea of the Mediterranean Sea. Such furniture is placed on the rest area on the side of the living room. In a small green basin, White pottery decorations and handmade iron Candlestick decoration, you can form a pure sense of the countryside. 1.Panel furniture: The material is mainly made of artificial panels(currently board furniture uses artificial panels: plywood(plywood), medium fiber board, particle board). Such as melamine papered beds, cabinets and so on. 2.Panel wood furniture: Panel wood furniture means that the structure of furniture adopts a solid wood frame, while the surface part uses a variety of density plates, and the contact surface uses a variety of exquisite solid wood skins. Panel wood furniture is more common in antique furniture, such as American furniture, European furniture and other mainstream style furniture. 3.Solid wood furniture: All parts of furniture are made of wood without other materials. Such as many styles of chairs, tables, cabinets and so on. 4.Upholstered Furniture: the interior frame uses solid wood or splint and related hardware, external sponge foam fill, external cloth or leather decoration, such as sofa, sofa bed, multi-functional recliner, footstool and so on. 6.Bamboo furniture: Natural bamboo is a table material or frame, and then with wood or metal frame, such as bamboo chairs and so on. 7.Metal Furniture: At present, metal furniture is mainly made of iron, steel, copper and aluminum. 8.Steel wood furniture: metal frame, with glass or wood, such as some coffee tables, dining chairs and so on. 9.Stone/Slate/Marble furniture: natural stone/slate as the main raw material and other materials such as glass, marble, ceramics, metal,inorganic minerals, fiber fabrics, resins and so on. 10.Glass Furniture:Glass furniture generally uses high-hardness reinforced glass and metal frames. The transparent definition of glass is 4-5 times that of ordinary glass by Gaochu. High hardness reinforced glass is strong and durable. It can withstand the strength of conventional knock, touch, hit, and pressure. It can completely withstand the same weight as wooden furniture. 11.Plastic Furniture:Plastic furniture is a new kind of furniture. There are many types of plastics, but they can basically be divided into two types: thermosetting plastics and thermoplastic plastics. Office Furniture, outdoor furniture, living room furniture, bedroom furniture, study furniture, children's furniture, dining room furniture, bathroom furniture, kitchen furniture(equipment) and auxiliary furniture accessories(Furniture Hardware & Accessories ). Assembled furniture(set-up), KD furniture, RTA furniture,folding furniture, combined furniture, wall furniture, suspension/hanging furniture. Rubber-wood, rosewood, Chinese oak, walnuts, eucalyptus, northeast wolfberry, eucalyptus, eucalyptus, eucalyptus, cherry wood, Russia Pine/NZ Pine, beech, Birch, OAK, cypress, yew, yellow pineapple, Ash, teak, walnuts, wood, Mahogany,Maple,Alder, jujube, bitter Peony , pear wood, red Peony, etc..
Modern furniture includes late Victoria, Tonette furniture, Bauhaus, Prague, Northern Europe, Western Europe, United States, United Kingdom, Italy, organic design, popular culture and so on. F: All Color swatches etc.